Kaitlyn and Kyle had the wedding everyone dreams about. 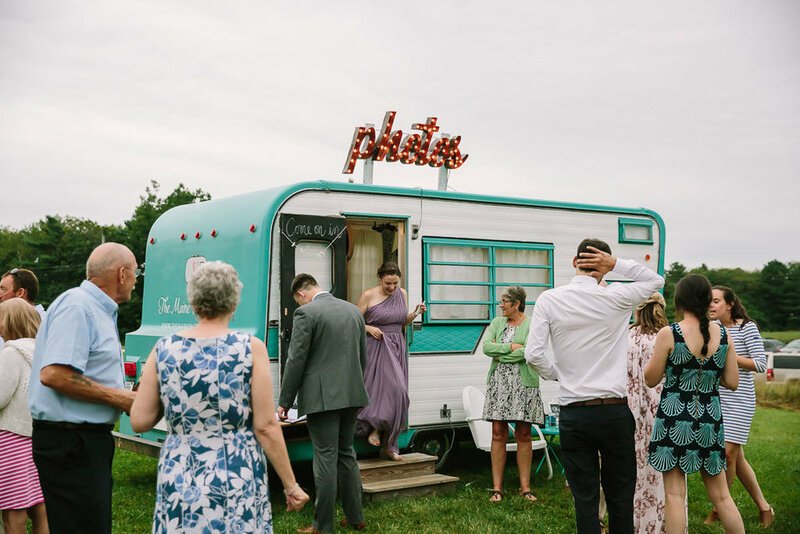 A ceremony held in a field at Wolfe’s Neck farm overlooking Casco Bay is a moment that will be hard to forget. When two people fall in love and invite their closest friends and families to witness and celebrate at a location like this truly is special. The ceremony was touching and thought out and when the “I do’s” were made and their marriage was official the reception and Lucy started. The camper was decorated with the well matched barnboard backboard, with all the fixings for props. Guests came and went as they pleased, many came back for more with much delight. 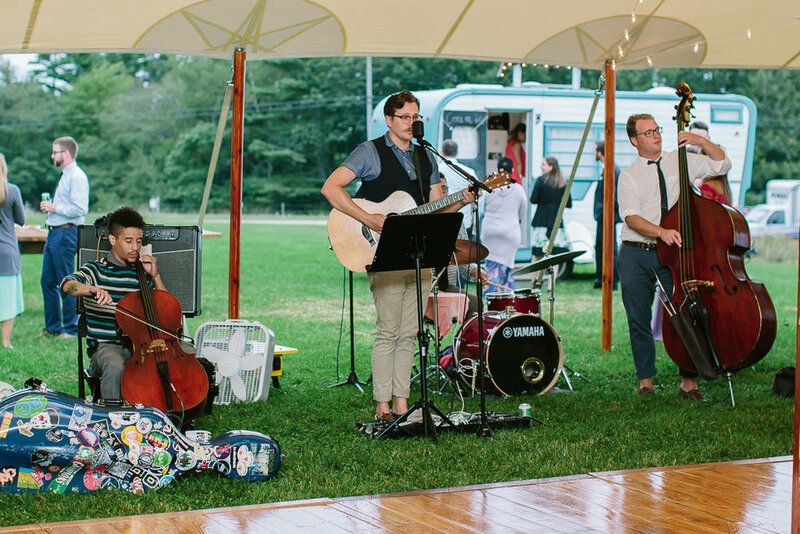 The wedding was catered by Fire & Co. and music was provided by The Dapper Gents. The party went into the night and everyone sang, danced, and photoboothed.